Today, August 30th only, hop on over to Amazon where you can save up to 25% off Celestron Products including telescopes, sport optics and microscopes. As one idea, score this Celestron PowerSeeker Telescope for just $80.53 shipped (Retail $112.99)! This telescope comes with an aluminum tripod and an accessory tray. 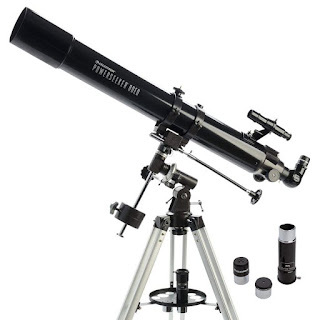 This telescope offers a portable yet powerful design and includes quick and easy no-tool setup, fully coated glass optical components with high transmission coatings and an acessory tray for convenient storage of accessories.